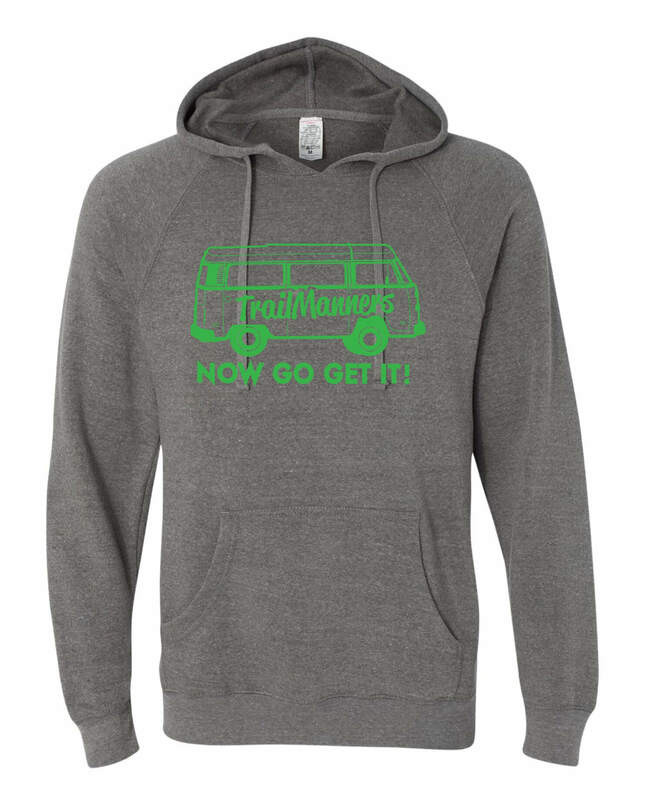 Brand new and fresh off the Sign Garage’s print press, the 2017 TrailManners Now Go Get It Hoodie! We paired the classic styling of the grey hoodie with the green Now Go Get It logo of the infamous Studio 78 on the front. This hoodie will keep you cozy in camp the night before El Vaquero Loco or your next adventure run.